The Making of the Humanities Conferences: Thanks for a great conference -- hope to see you in Baltimore in 2016! Thanks for a great conference -- hope to see you in Baltimore in 2016! 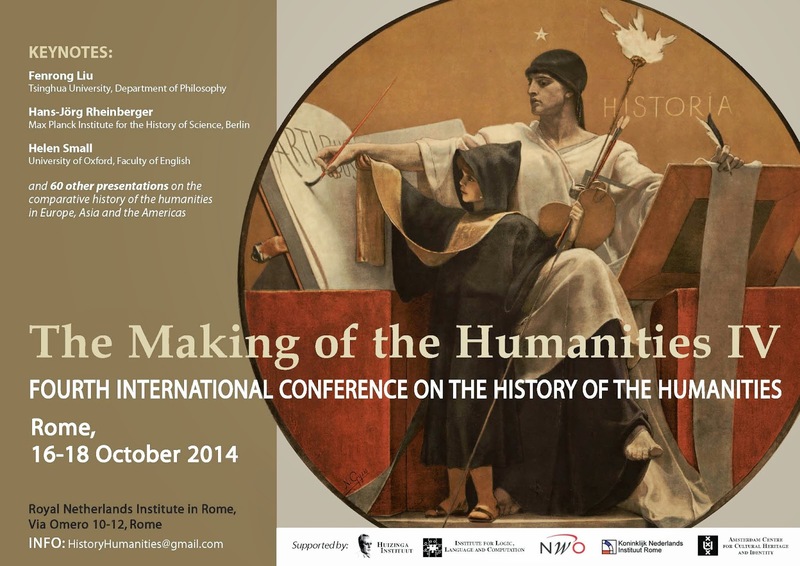 The Making of the Humanities IV in Rome was a great success. Thanks so much to our speakers and host -- the wonderful KNIR in Rome -- for turning MoH IV into a memorable event. For a report on the conference by one of its participants, click here. The edited volumes of the three previous MoH conferences can be freely downloaded here. Also many thanks to the University of Chicago Press for launching the journal History of Humanities and the Society for the History of the Humanities. Please submit your papers to History of Humanities. The Call for Submissions is open. We look forward to seeing you in Baltimore in 2016! A unique cloud-based system to track and manage your insurance policies, coverages, premiums, claims as well as your covered participant’s assets, premium contributions and activities. Truly a great post! Glad to find this post about this conference. Our annual business conference will be held next month and this time we are going to book one of top corporate events Chicago venue to host it.